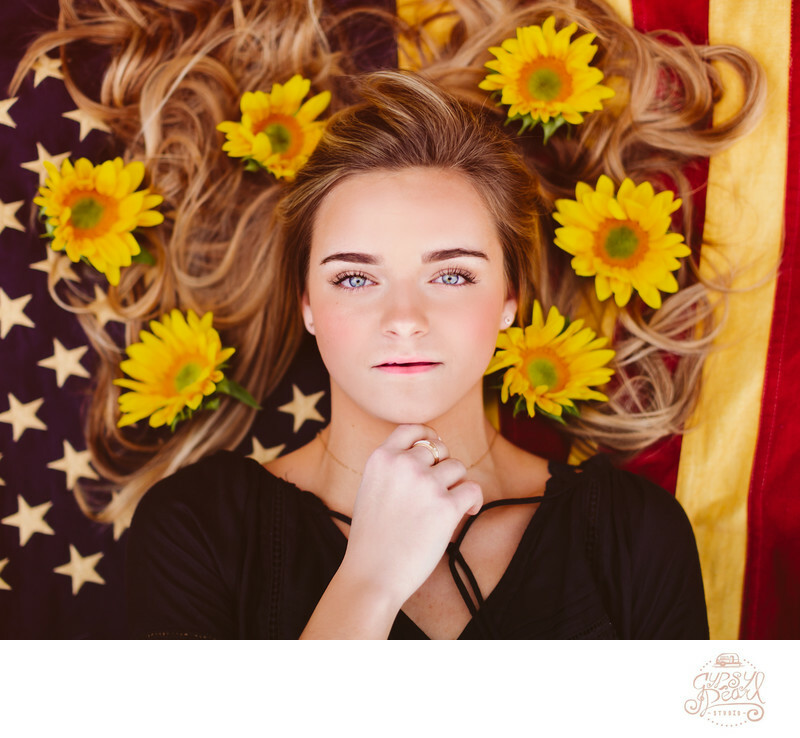 Summer Lewis photographed for her Senior photos with Sunflowers and an American Flag on February 18th,2019. Summer will be majoring in Art at Baylor University in the Fall of 2019. Session took place in Driftwood outside of Dripping Springs. Driftwood is located in the Hill Country and famous for it's Salt Lick BBQ. Location: 181 Rodgers Ravine Cove, Driftwood, Texas 78619.